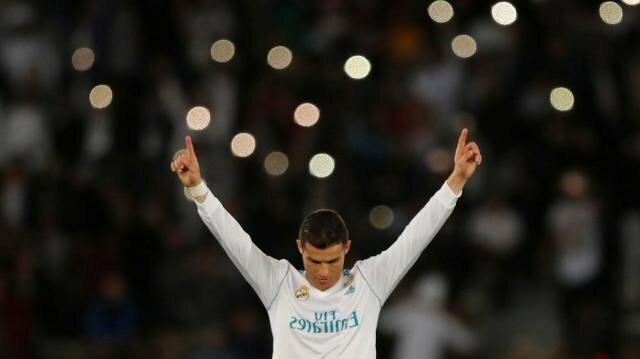 Ronaldo wants to 'Guard of Honor' to Barca! Now the time may be Cristiano Ronaldoire. A few days ago, Carrier won the Ballon d'Or. At that time, Ronaldo said proudly, he was the best footballer of all time. And last night, after losing the match to Graemeo, after winning the club World Cup title, another bomb exploded. The Real Madrid forward, who wants to get the Guard of Honor from Barcelona, ​​the first El Closet of the season. As per the rules of European football, before the club league title, the team gets the 'Guard of Honor' on the field in the remaining matches of the season. But it is basically a custom, no compulsory rule. Commenting on Ronaldo's comments, the fans of Barcelona-fans have increased the fire. After winning the club World Cup in Japan last season, Real 'did not receive' Guard of Honor 'at Barcelona's ground. After winning the UEFA Super Cup, two teams were seen in Supercopa de España. There also Ramosad's forehead is not respected. Interestingly, in January 2015, Valencia received the Guard of Honor, the only Guardian of Madrid. Just next season, Barcelona has given this honor to Real Betis. Now Ronaldo, do not dig the hole for yourself in this comment? This season La Liga topped the Catalan club, with Ronaldo's point difference of 8. And as a real form of the league, Barcelona have to agree to the title for the title. Source: Marka.